Moenchengladbach/Germany, August 10, 2018 – Since the beginning of the year, fearless sea dogs have been able to go on lucrative fishing expeditions off the rough North Norwegian coast with astragon’s new fishing and ship simulation game Fishing: Barents Sea for PC. Today, virtual fishermen can be looking forward to even more, exciting content: With the release of the new Fishing: Barents Sea – Line and Net Ships DLC, the Norwegian developer team of Misc Games is happy to launch five brand new ships which will bring even more variety to line and net fishing. Each of the five new fishing boats comes with its own individual and authentic attributes, as well as individual fishing quotas. The smallest boat among the new fishing vessels is the Tobie. With just 7 meters (23 feet) in length, it is a very compact vessel, which moves swiftly but steadily across the wild waves of the Barents Sea. With a length of little more than 10 meters (35 feet) another small but very modern fishing ship named Sharky will be ready to cast off from the harbor of Hammerfest to go on exciting fishing adventures. The Snarset is the third new ship of the DLC and boasts some top modern equipment inside a light aluminum hull. With a length of 14 meters (49 feet), the Snarset is one of the largest new fishing boats – only to be surpassed by the aptly named Moby D. The Moby D. is 20 meters (66 feet) long and inspired by a traditional, very popular Norwegian boat design from the 1970s. Its hull of wood and steel offers strength and durability against the rough elements of the sea. Last but not least, Fishing: Barents Sea welcomes a special highlight of the Norwegian fishing industry in form of the Fix: The 10 meters (33 feet) long vessel has its origin in the 1920s and is today the oldest, still active fishing boat in Norway. All five new ships will delight players with realistic designs and detailed interiors. The additional boats will allow ambitious fishermen to catch even more maritime prey and increase the yield of their fishing business. 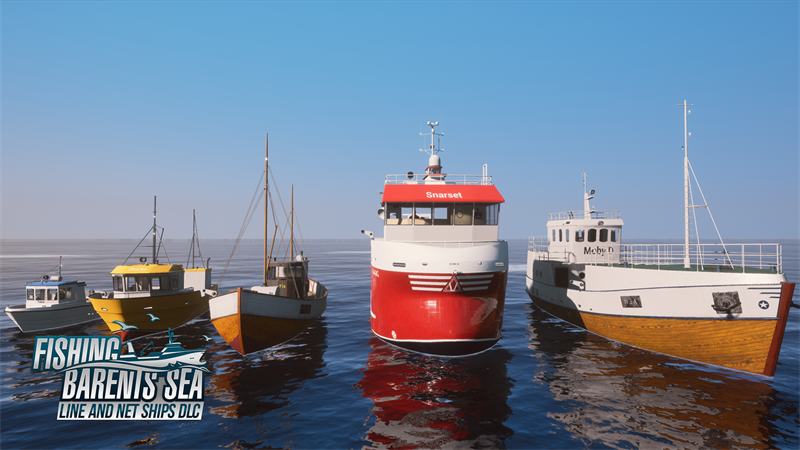 The Fishing: Barents Sea – Line and Net Ships DLC is available now on Steam™ for 5.99 Euro/6.99 USD/5.49 GBP. 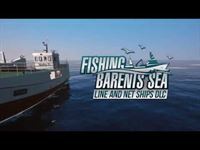 The main game Fishing: Barents Sea for PC is required to make use of the additional content. It is available in retail or as a digital download for 19.99 Euro/19.99 USD/16.99 GBP (RRP).